Charles F. Roselius obituary – Volunteer Railroader Association Inc.
Charles F. Roselius, age 89, of Kinnelon, entered into eternal rest, January 23th, 2011. Mr. Roselius was born in Flushing, NY, the son of Charles D. and Wilma (Holschuh) Roselius. Charles was Vice President of Engineering for Ellcon National in Totowa, NJ before retiring. Charles served in the Army Air Corps during WWII, was a Lay Leader for the former Kinnelon United Methodist Church, a member of Fayson Lakes Yacht Club, a Trustee of the Fayson Lakes Water Company, belonged to the Center for Life Learning in the Kinnelon Library and a member of numerous railroad clubs including Branford Electric Rail Way Museum. He is survived by his devoted wife Aline of 61 years, his beloved sons, Jim, Tom and wife Anita and Doug and wife Tammi, 11 cherished grandchildren and six adored great-grandchildren. He was predeceased by his son Charles. Viewing hours will be Tuesday, January 25th, 2011, from 2 – 4 pm and 7 – 9 pm at The Morrison Funeral Home, 86 Bartholdi Avenue, Butler, NJ. A funeral service will be offered Wednesday at 11 am, also at the funeral home. All other services will be held in private. In lieu of flowers donations can be made to your favorite charity in his memory. I wanted to pass this along to the railroad groups with a couple of personal stories about Charley. Charley loved trolleys. Back in the mid-2000’s he would drive to Branford once a week or so to operate the trolleys at the museum. I was lucky enough to visit him on one occasion in 2006 with my family and it was a day we won’t forget. That may have been the last year he operated there as his health slowly declined. As some of you may know Charley was one of the first members of the Volunteer Railroaders Association and shortly after the group was approved as a 501(c)3 Charley became our first Treasurer. He was involved with our bi-weekly work sessions on the Middletown & New Jersey when we ran speeders on that line. He had his operator’s certificate and insurance to run speeders at NARCOA events. At one VRA meeting some time back someone was showing photos along the NYS&W and included some shots of the passenger excursion over the Wilkes Barre and Eastern I believe in 1939. The photo shows the train coming across a long bridge. Charley saw the photo and kind of chuckled. When asked why he said the guy must have been standing right next to him when he took the photo. Charley was on that trip! Only a teenager at the time, he went on the trip by himself. Later on after WWII Charley went to work for American Brake shoe in Mahwah and worked on many projects for them. He presented some stories at the VRA meetings. One of which included testing brakes on loaded hopper cars on the Reading Railroad back in the 1960s. A testing platform and place for a brake company employee to ride were attached on one end of the car. The tests required a long straight, flat piece of track. The engine would accelerate the hopper car to 60 MPH and cut it loose. The employee on the end of the car would take measurements as the brakes were applied and it coasted to a stop. Charley also designed the flush mounted handbrake lever found on modern auto carriers. In addition to all this, he collected railroad schedules from the time he was a kid. He would write to the railroads and they would send him schedules. Over the last 10 years, he sold many of those schedules via eBay. Charlie was one of the good ones of this world. It has been a privilege to have known him … he will be missed. Charley was the only person whom I would wholeheartedly define as a “true Christian.” He was never mean, nor judgmental. I will miss him, and I will continue to hold his name up in daily prayer as a spiritual connection with him. You’re riding God’s train in heaven, now, Charley! I am very sorry to hear of Charlie’s passing. He was a good friend to everyone he met, and the world wont be the same without him. God bless you Charlie. Charlie, your kindness and loving good nature will be truly missed. Rev. Younglae Kim sent an email to me to share with you: Please accept my condolences. 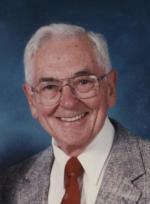 I always remember that he was a faithful and sincere person who had been a pillar of Kinnelon United Methodist Church. Godspeed, Charlie, we’ll miss you at the Tri-State Railway Historical Society. Thanks so much for your time and friendship, and for your help with the cabooses. We’ll think of you while hearing the clickety-clack on life’s railway to heaven. Charlie and I worked together on many of the excursions with C&O 614 in the late 1990’s. We car pooled to Hoboken and had a great time on the trips. I will greatly miss him. I am sorry to learn of Charles’ passing. I had the pleasure of meeting him a number of times “trackside” watching trains. ← Santa Train 2010….. HELP! !